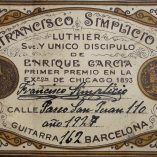 Francisco Simplicio (1874-1932) started his cabinet-making apprenticeship in Masriera & Vidal’s workshop at a very young age. 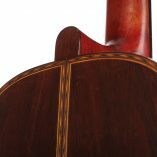 He worked as a cabinet-maker for nineteen years before he was forced to close his workshop in 1917, due to the political disorders of that time. 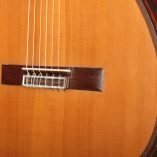 Being unemployed, Simplicio entered the workshop of his long-time friend, the now Famous Enrique Garcia, as an assistant. 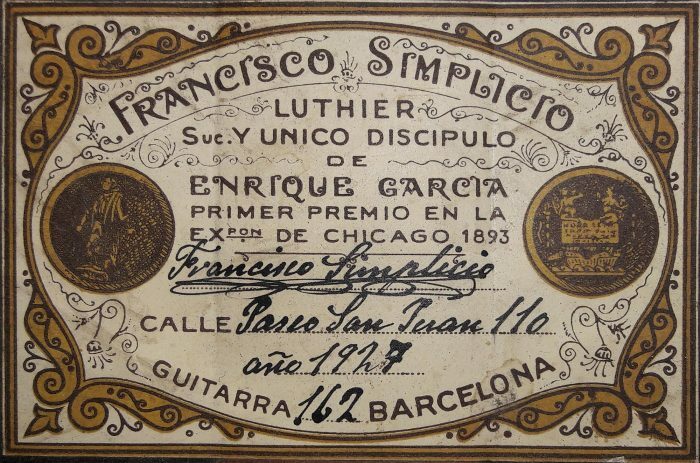 When Enrique Garcia died in 1922, Simplicio took over his workshop and kept building guitars under Enrique Garcia’s name for three years. 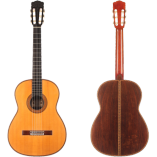 Francisco Simplicio was an extraordinary gifted luthier and an eminent Barcelonian modern artist. 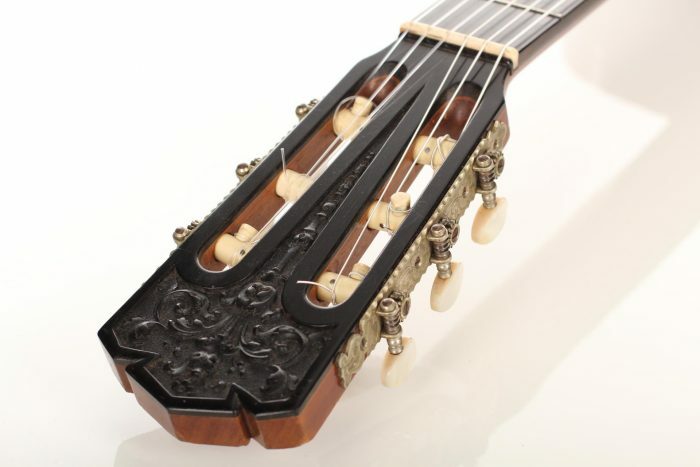 The carved headstock of his guitars as well as the elaborated purflings are testimonials of his woodworking talent. 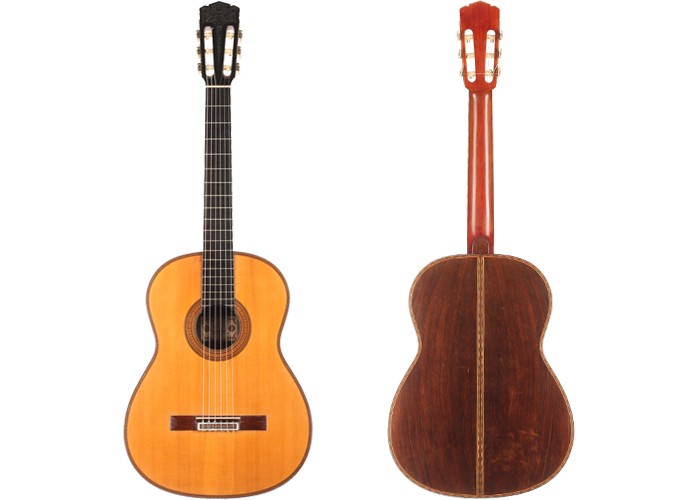 F. Simplicio built 336 guitars under his name between 1922 and 1932. 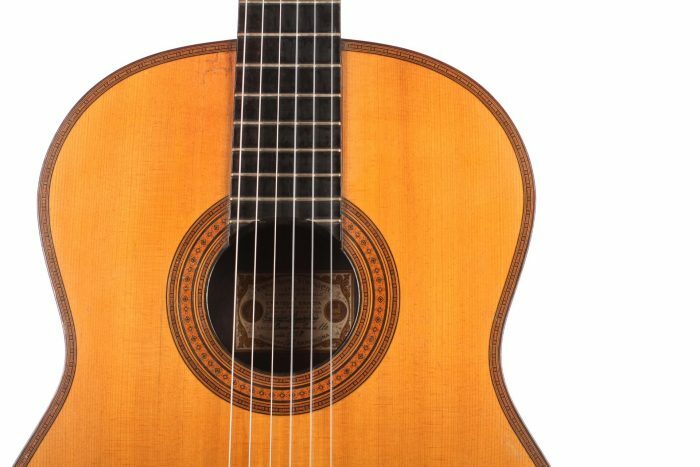 This Guitar was built in 1927 and wears the number 162. 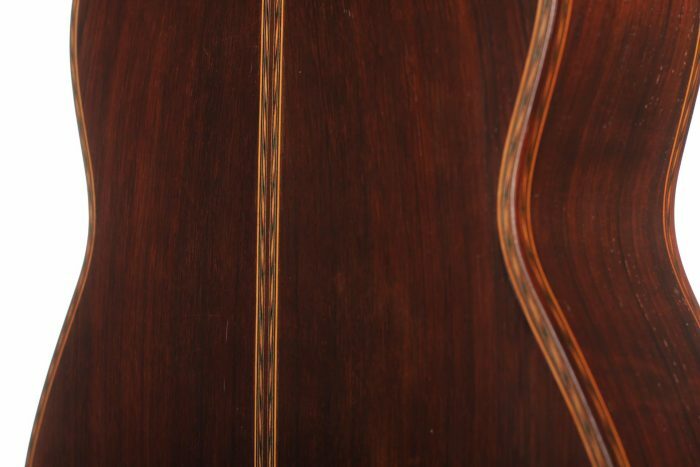 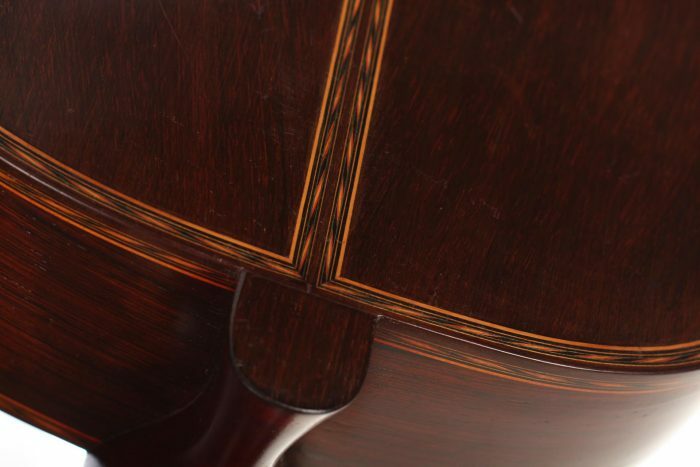 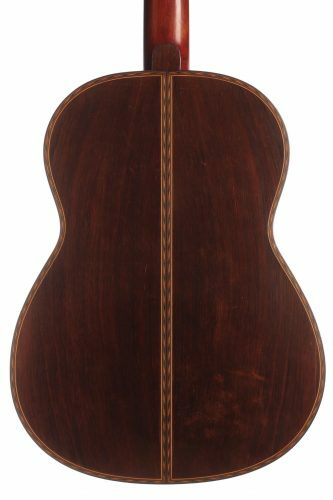 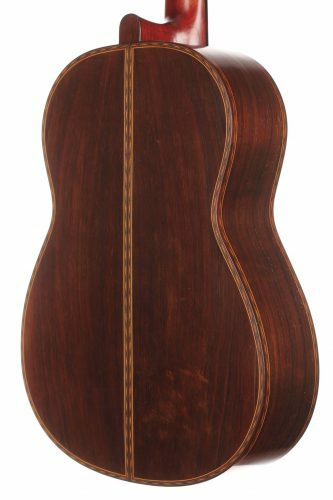 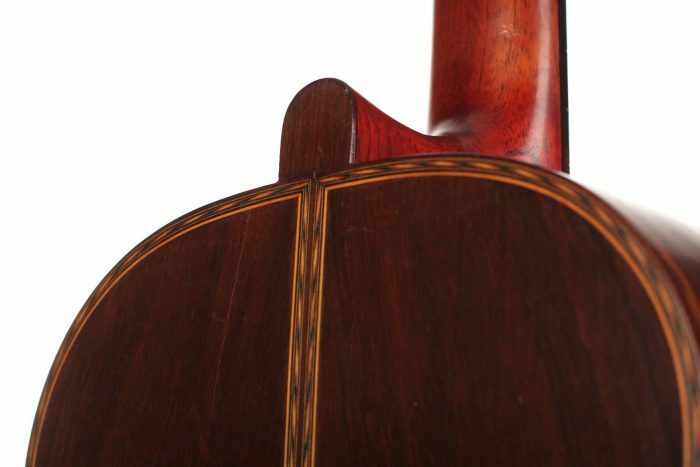 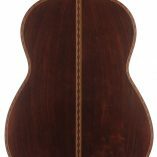 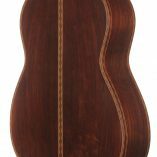 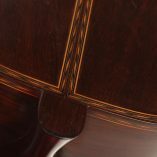 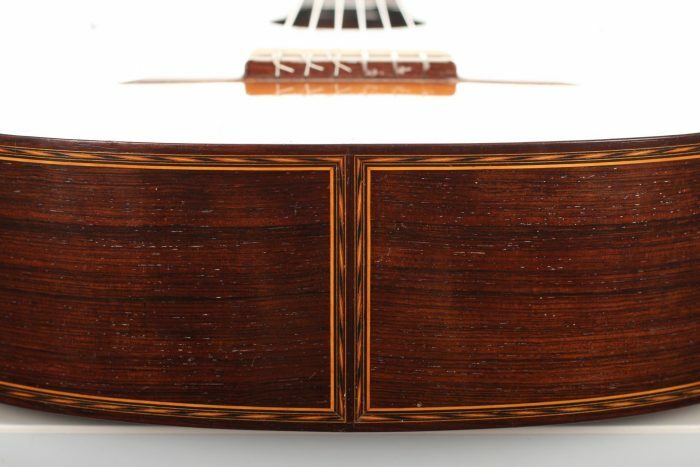 It has a beautiful spruce top and Cites pre-convention Brazilian rosewood back and sides. 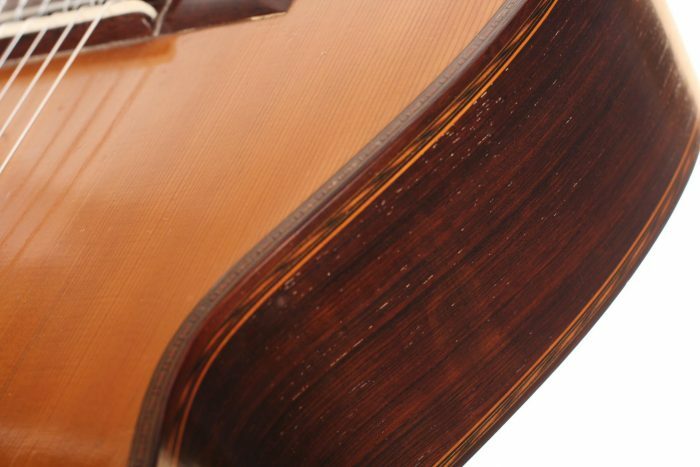 The top and the back have a few repaired cracks. 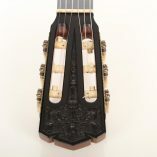 The ebony head-plate is carved and the head wears old Fustero tuners. 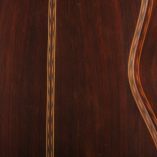 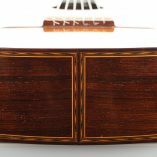 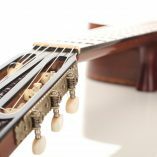 A very special feature of this guitar is the rosewood tornavoz that goes down to the half of the depth of the sound box. 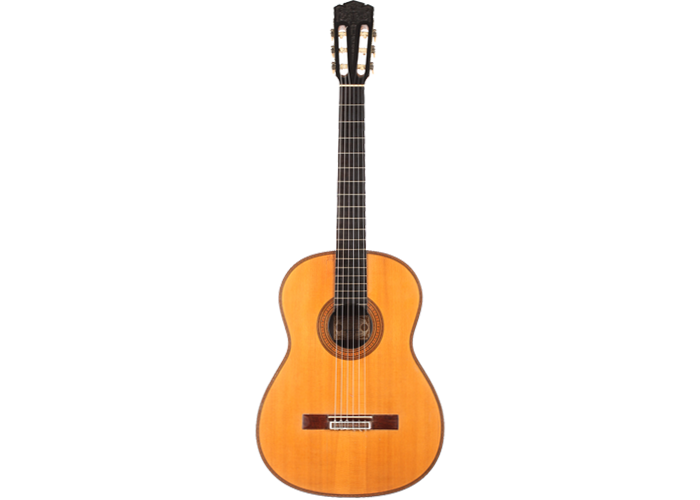 It gives the guitar extraordinary deep and warm basses, projecting easily and giving a smooth stroke-feeling. 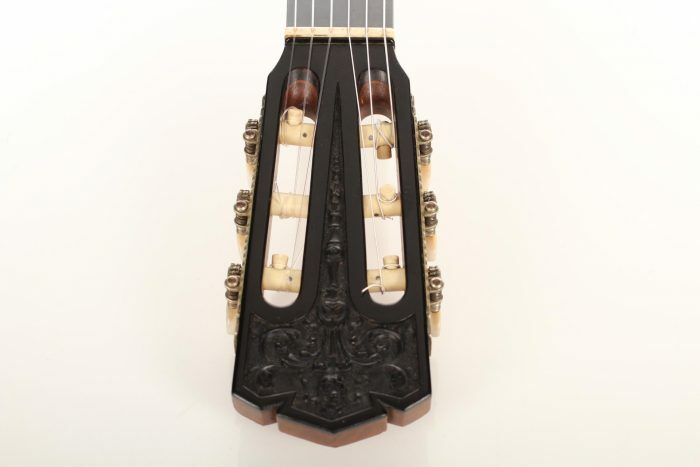 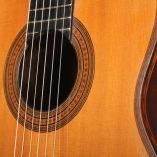 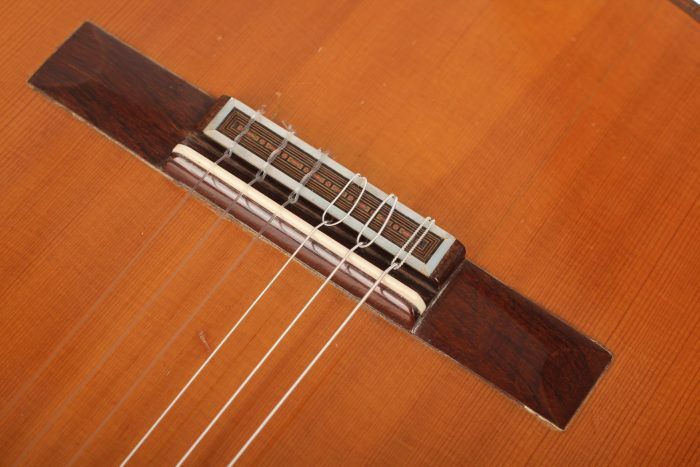 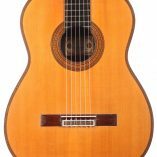 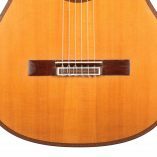 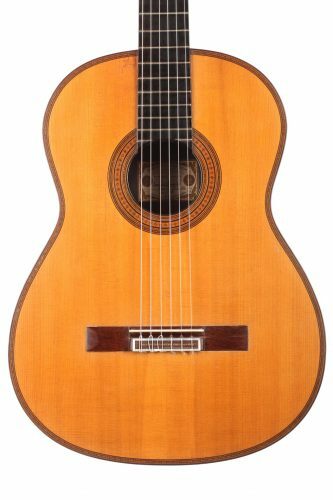 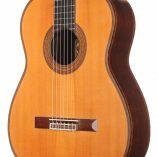 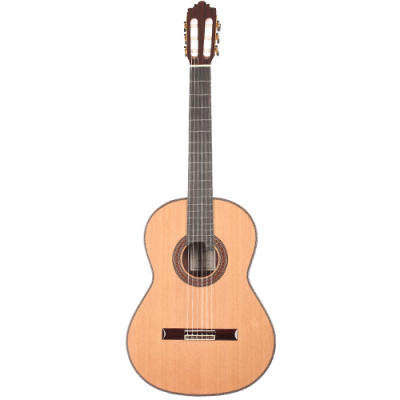 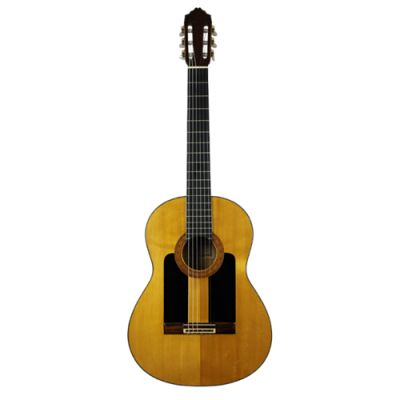 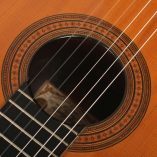 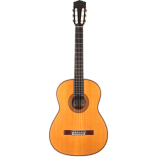 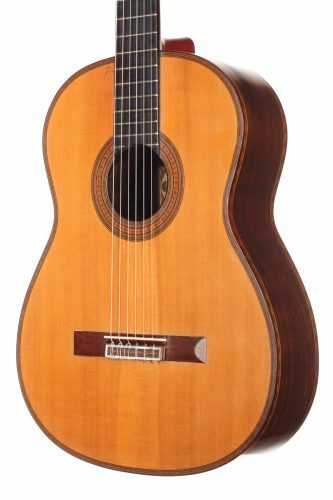 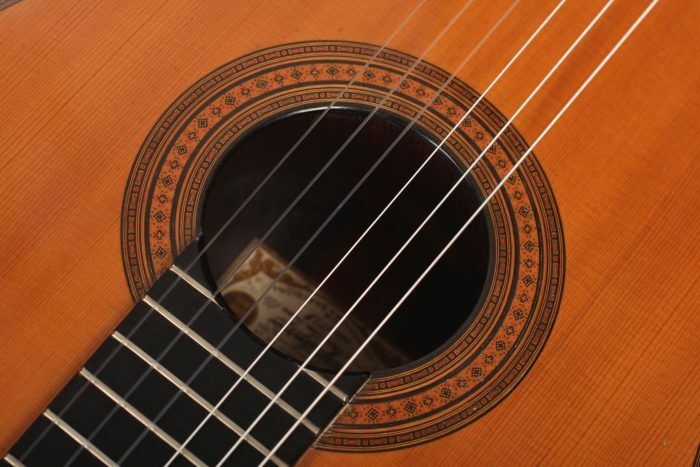 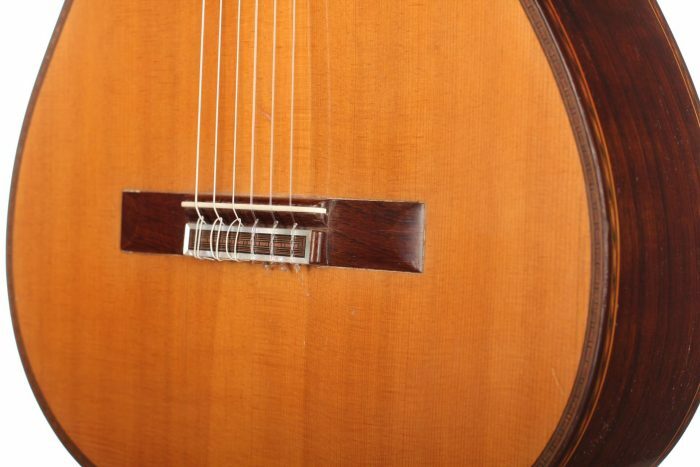 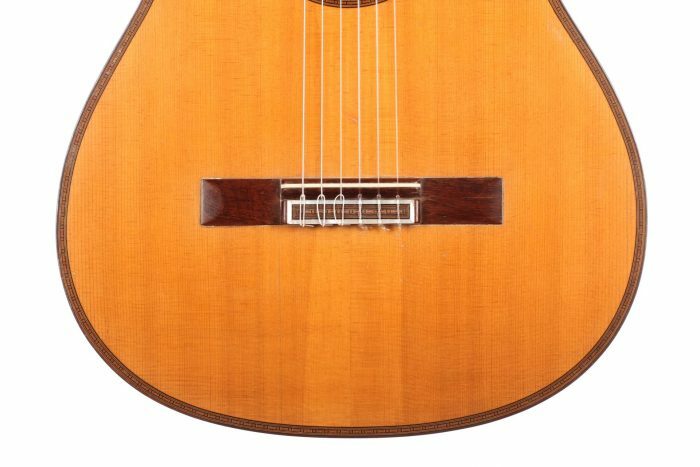 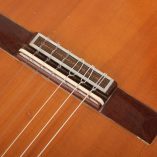 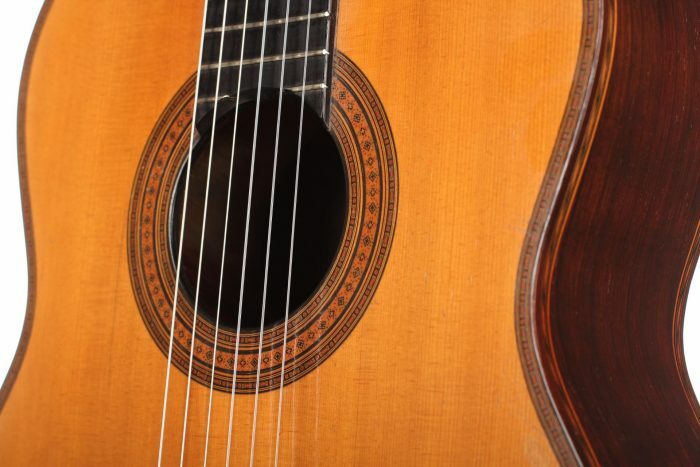 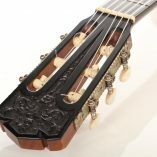 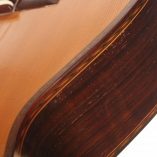 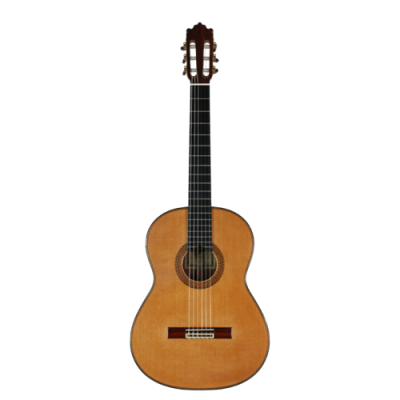 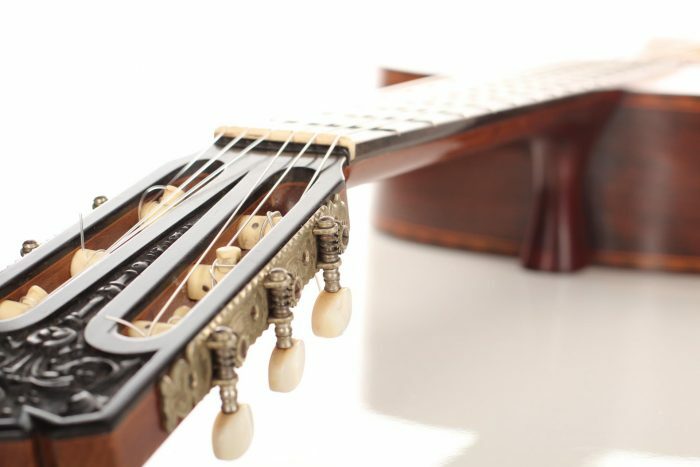 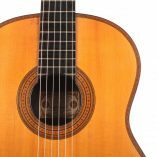 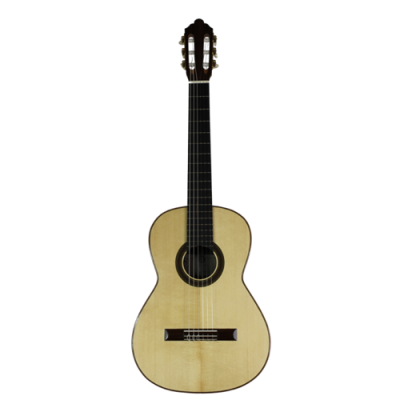 This guitar is a unique collection instrument and has the very sound one is looking for, when playing some Tarrega, Granados, Albeniz, etc.The original case is included.